Things to make life easier! 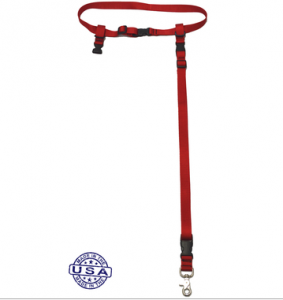 Wiredog’s new hands-free dog leash system is named after a “come along”, a tool used to move and pull things that might otherwise be difficult to move. Sometimes that difficult thing may be a person 😉 This hands free dog leash is your dog’s tool to pull you, drag you and move you to a more active lifestyle. It is proven those who exercise with their dogs have a stronger bond and are happier and healthier individuals. Perfect for joggers, professional dog walkers or anyone with limited hand use. Includes quick release loops which float free around the belt to prevent tangling, and LED light for night walking. You can even hang a set of keys conveniently from the belt. Comes in a variety of colors and with a wide variety of accessories, such as added leashes, belt loops, etc. 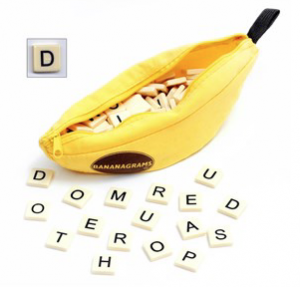 In Bananagrams, players race against each other to build crossword grids and use all their tiles. There’s no turn taking – it all happens at once in a race to finish. And now this game is inclusive. Durable off-white plastic tiles measuring 3/4 “ square have bold black print. Plus, in this modified version, the tiles also have raised/tactile Braille markings, so the blind as well as those with low vision can enjoy this fast-paced game that drives everyone bananas!